Over this last weekend, the Barclay College women’s basketball team faced a huge opportunity to continue their quest to improve. They played Manhattan Christian College (Manhattan, Kans.) really tough earlier in the week, but came up a little short. Now they faced Midwest Christian College Conference opponents Calvary University (Belton, Mo.) and Ozark Christian College (Joplin, Mo.) to wrap up their regular season schedule. 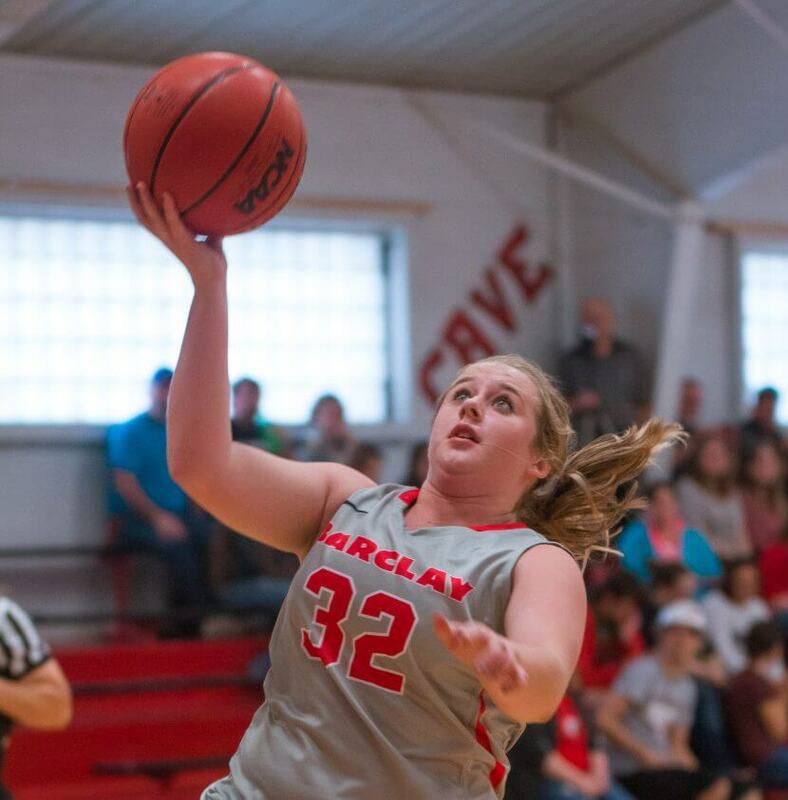 On Friday evening, the Lady Bears hosted Calvary. Last month when the two tangled, the Warriors defeated the Bears in a close one. The Warriors’ zone defense, this time around, forced the Bears into several first-half turnovers and the Bears struggled to knockdown open shots. The Bears would trail the Warriors 23-30 at the midway point. In the second half, the Bears applied more defensive pressure. They forced several turnovers and limited the Warriors to only 17 points in the whole half. Offensively in the second half, the Bears were able to exploit holes in the zone defense and make open shots while limiting their turnovers. Although the Bears trailed for a majority of the game, they would revenge the loss last month to defeat the Warriors 52-47. On Saturday afternoon, the Bears would play their last conference game of the regular season against Ozark Christian. In the previous contest against the Ambassadors, the Bears won a thriller in Joplin by a single point. From the tip, the Bears came out ready to play, and they would never trail in this game, winning 79-54. They shot a blistering 51% from the field and had 21 assists on 25 field goals. The Lady Bears were led by freshman Sarah Easterwood’s (Rolla, Kans.) 22 points and 6 rebounds, sophomore Mycha Owens’s (Cullison, Kans.) 17 points, freshman Leilani Carrasco’s (Eaton, Colo.) 14 points, 10 rebounds, and 6 steals, and freshman Kaitlyn Hiser’s (Glenrock, Wyo.) 13 points and 6 assists. The Lady Bears enter the MCCC tournament this week in Ankeny, Iowa as the #5 seed and will face off with Calvary yet again. Their game will be on Thursday, February 16 at 11:30 am.